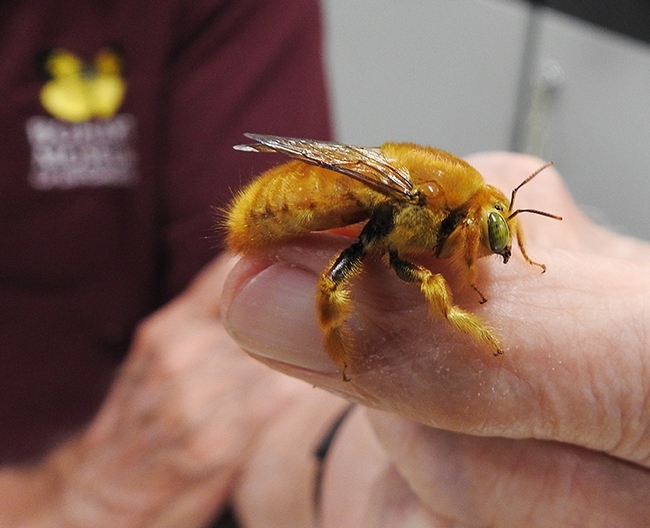 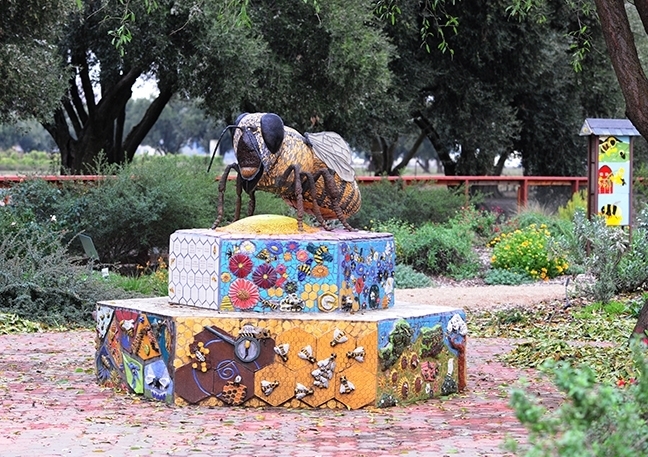 A close-up of a male Valley carpenter bee, Xylocopa varipuncta, held by Robbin Thorp, distinguished emeritus professor of entomology at UC Davis. 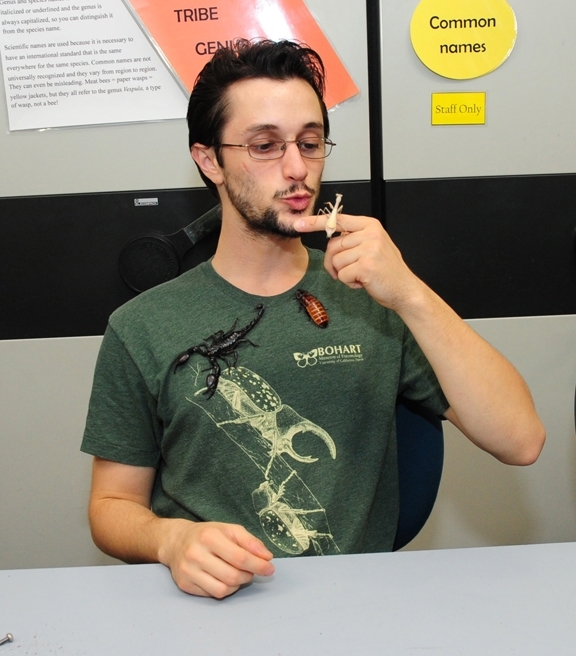 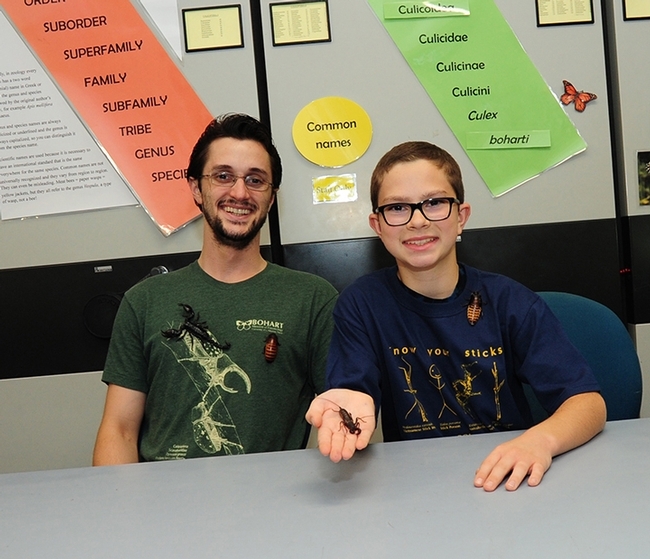 Future entomologist? 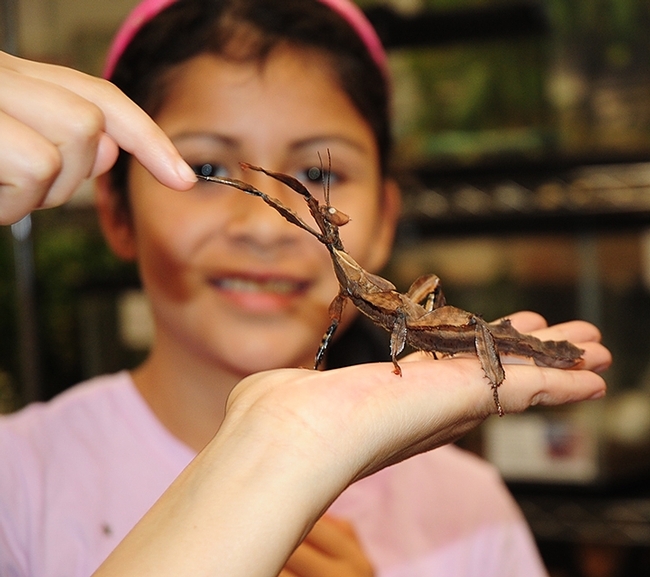 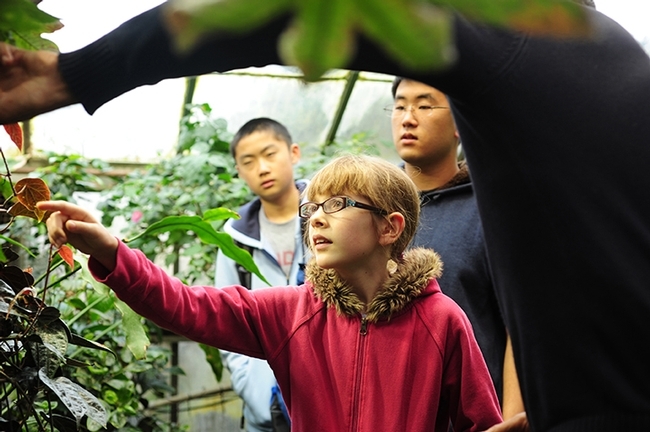 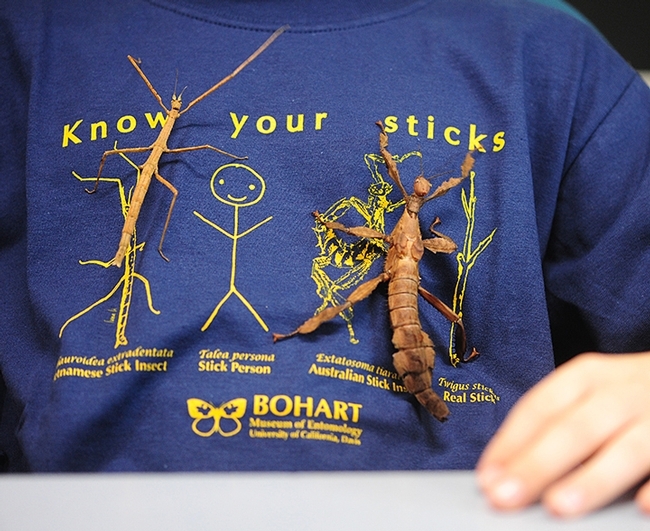 Julianna Amaya, 10, of Martinez is fascinated by an Australian walking stick. 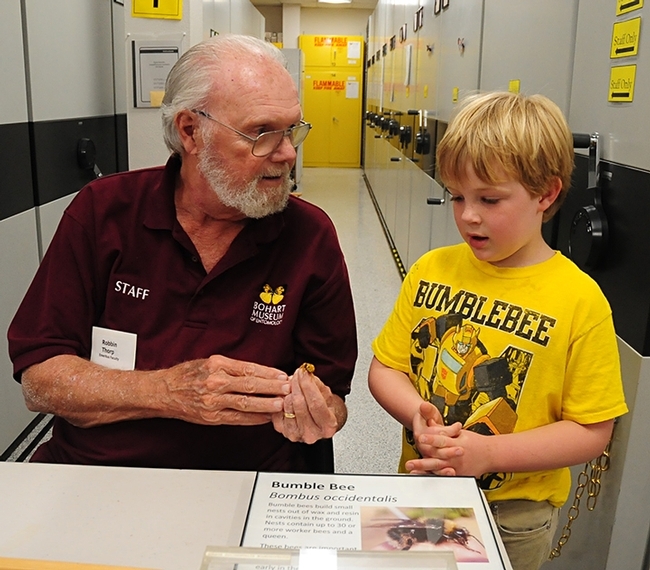 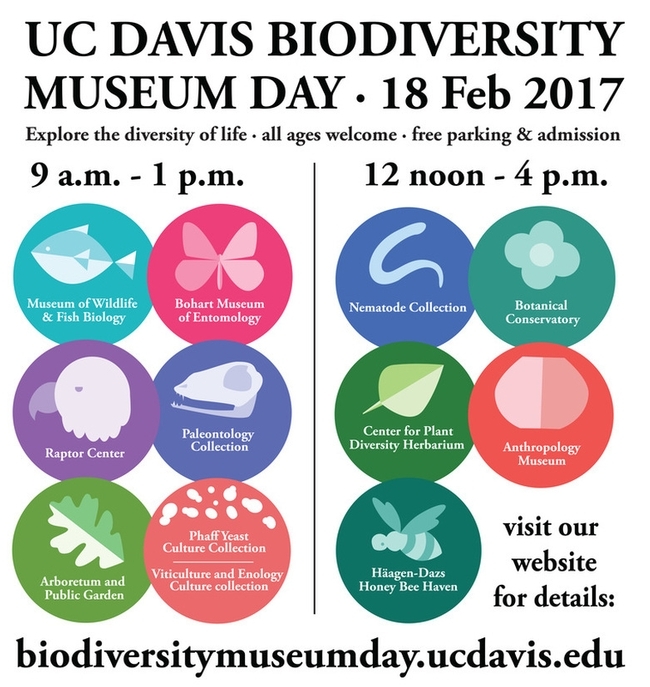 Entomologist and Bohart Museum associate Jeff Smith talks butterflies to Ted Swift and his daughter Grace Swift, 10, of Davis. 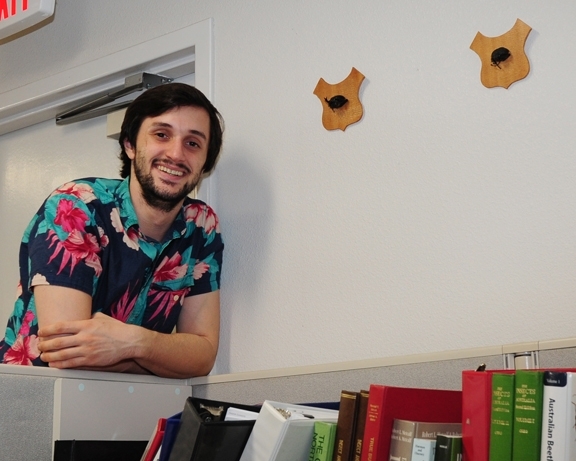 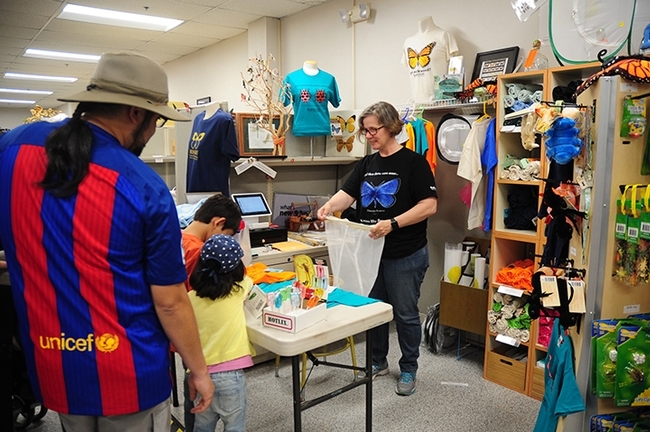 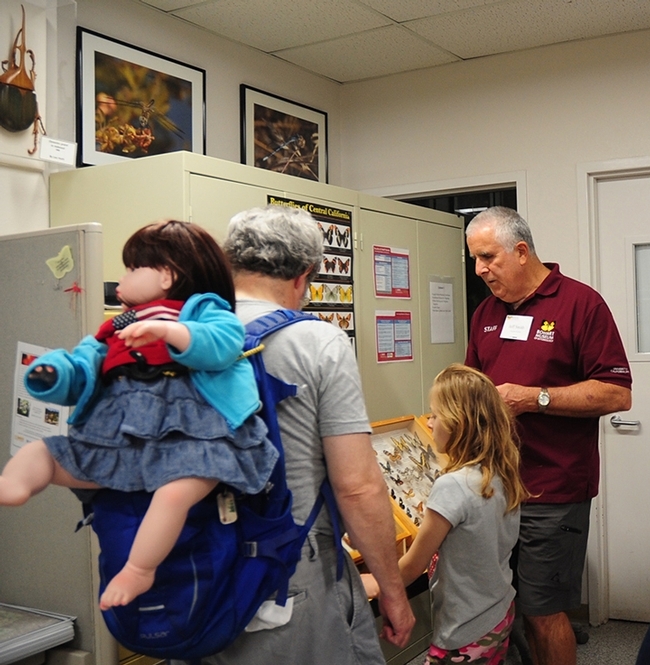 Fran Keller, assistant professor at Folsom Lake College, staffs the Bohart Museum gift shop. 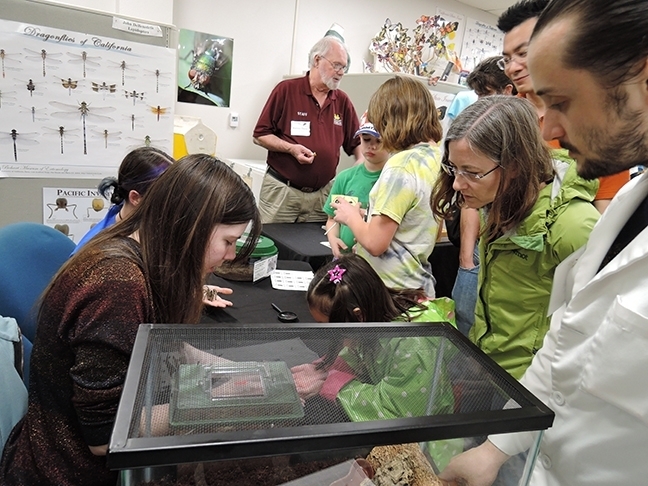 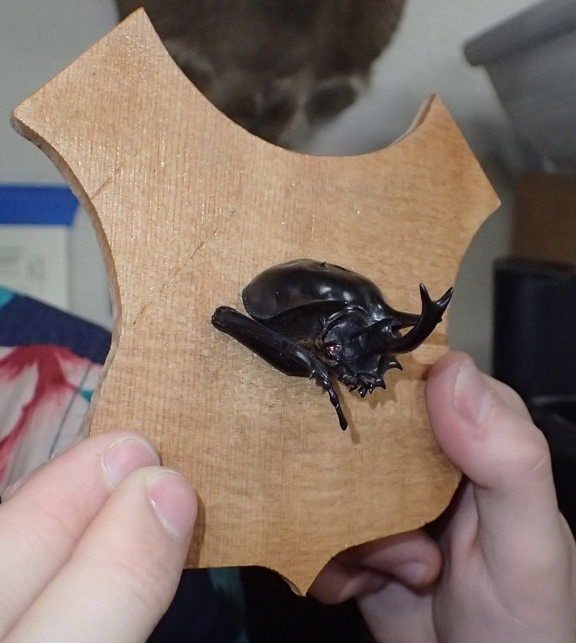 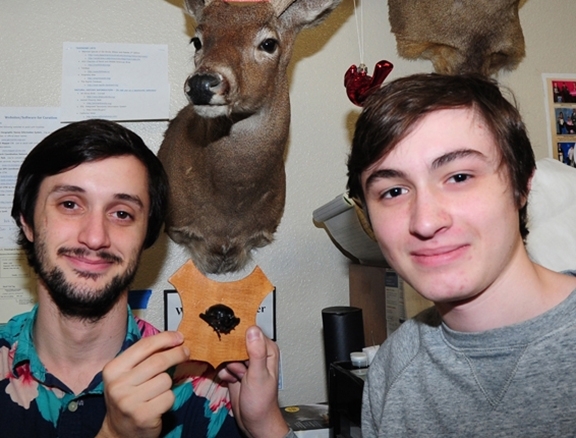 Yes, an Insect Museum Can Have Mounted Heads, Too!